Many people have hidden talents - some can lick the end of their own nose; others can bite their own toenails; many can do the YMCA on one leg. It probably wouldn't be enough to win Estrellas Theatre School's annual talent competition though. 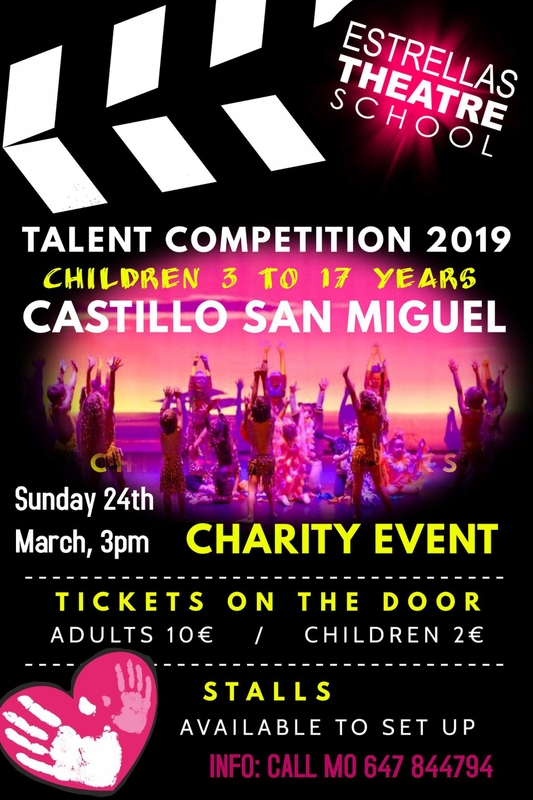 This year's event, supporting Helping Hands, a charity for disadvantaged and underprivileged children is taking place on Sunday 24th March at 3pm. Children between the ages of 3 and 18 are welcome to enter into the competition and have five minutes of fame, their own little share of the limelight, on the stage of El Castillo San Miguel. For information call Mo on 647 844 794. Tickets are €10 for adults and €2 for children.